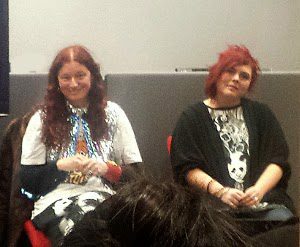 If you missed the event, here is a chance to listen to the fascinating talks from the artists Delaine Le Bas and Corrina Eastwood at our meeting on 12 February 2015. Both artists talked about their experiences as part of the UK Romani Gypsy community. Corrina and Delaine showed the audience excerpts from their art practices: performance, installation and film. Their artworks revealed the complex challenges involved in defining their identities and inhabiting space. The talks were followed by a lively question and answer session from the audience. Read more on the webpage.